Want to connect with Sukhnandan? 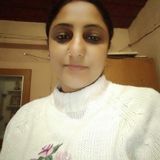 Hey my name is Sukhnandan kaur. Personal Profile: I'm trustworthy babysitter who can't wait to help your family! Location: I'm located in the South part of Brampton, nearby a transit stop, which makes travel easy. My expertise: I'm incredibly comfortable with homework help, school pick-up and drop-off, and managing family dry cleaning.